This might be the most unique item we've seen yet! A trocar pendant on a silver chain. 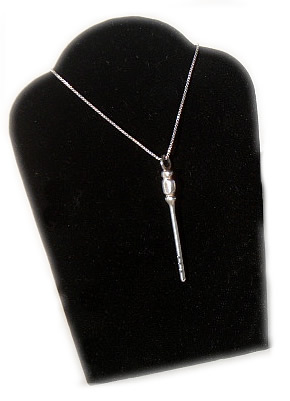 This miniature replica of the embalmer's tool is hand made in sterling silver and carefully detailed down to the holes on the shaft. Measures aprox2"(L) including bale.